JA Europe and Sage are launching a new partnership in 6 European countries helping young people to acquire the skills and knowledge they need to start a business or to be successfully employed. Sage’s participation in Leaders-for-a-Day on 19 October will celebrate the official launch of this new partnership. Through this collaboration, over 3500 students aged 13-19 from Belgium, France, Germany (TBC), Spain, Portugal and United Kingdom will participate in a variety of entrepreneurship education programmes, with support of 220 Sage professional volunteers helping them to build successful futures. The activities include enterprise activity programmes (JA Company Programme, Start Up Programme), Job Shadow days (Leaders-for-a-day) and Innovation Camps. Sage is the market leader for integrated accounting, payroll and payment systems, supporting the ambition of the world’s entrepreneurs. 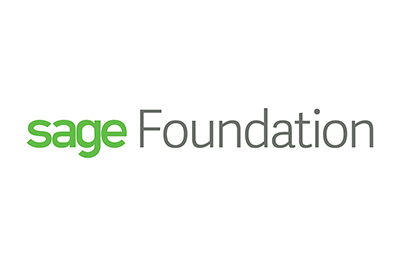 Sage, through Sage Foundation follows a unique ‘2 + 2 + 2’ model, donating 2% of employee time each year (5 days), 2% of free cash flow* and 2 of Sage’s smart technology products for any eligible charity, social enterprise or non-profit organization that helps build a better future in the local communities. By collaborating with JA Europe, Sage intends to share volunteers’ expertise and tools with young students. Sage also aims to increase the awareness of skills required to be successful in the workplace, support a better knowledge of career opportunities available for young people and grow their work readiness. On October 19th, to kick-off the partnership, two top managers from Sage Belgium will participate in Leaders-for-a-Day and share their working day with two students who completed the JA Company Programme and obtained the Entrepreneurial Skills PassTM (ESP), a unique certification of their entrepreneurial skills, knowledge and attitude. This initiative aims to inspire young people to be more entrepreneurial and encourage mentoring opportunities between students and experienced professionals. “We’re thrilled to have two Sage executives on board for Leaders-for-a-Day. Sage operates in a sector where ‘fintech’ and the speed of innovation has been remarkable. More than ever, understanding how money moves and financial skills are essential for all of us—as employees, entrepreneurs or individuals. Our young participants therefore have much to learn from these leaders. Going forward, we see our new partnership with Sage as a great way to deepen the learning in our programmes, too,” said Caroline Jenner, CEO of JA Europe. JA Europe is Europe’s largest provider of education programmes for entrepreneurship, work readiness and financial literacy, reaching 3.5 million students in 39 countries in 2015. It was founded in 2001 when Young Enterprise Europe and Junior Achievement International Europe merged. JA works with the education and business communities as well as governments to provide young people from primary school to university with experiences that build the skills and competences they will need to succeed in a global economy. JA’s activities have been endorsed as best practice by the European Commission. JA Europe is the European Regional Operating Centre for JA Worldwide®.